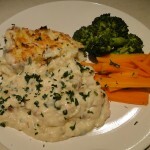 This fish pie recipe is a basic one that anyone can make. Go slowly with the sauce and don’t stop stirring! Feel free to make your own changes. Peas, boiled eggs or scallops all go well. 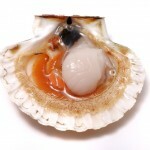 Scallops are incredibly easy to cook and make for a very quick, delicious meal that you can impress your friends with. Just be careful that you don’t overcook them or they will turn into something like a rubber ball. Keep the orange roe attached to the scallop muscle. They are tasty and make the dish more colourful. I’ve never understood why so many other countries remove them!